There is no doubt to the fact that proper customer service is probably one of the most important aspects that makes a business successful. Live chat software is one of the best services, which allows instant support to customers along with important information. The best Live Chat Software is known to work like a messenger, which allows the customers to communicate with a particular brand in real time. Live support chat software is capable of conveniently and promptly answering all the questions that a customer has and it can additionally boost the conversion rates of your website. As an example, a huge problem that most of the customers face when they are shopping online is that they get disconnected from particular personnel, who are helping them out with a particular query. This can be the best solution for customers. Businesses can easily mitigate this by providing the customers with an engaging experience by using the live chat software. 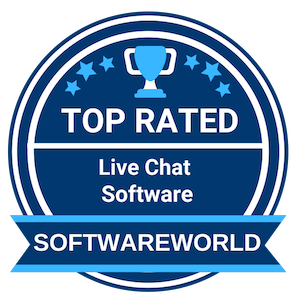 In order to find the top 10 live chat software, you can consider the following list coined by SoftwareWorld. What are the Best Live Chat Software in 2019? About Slack : Slack is a collaboration hub for teamwork, where the right people are always kept in the loop and key information is always at their fingertips. Work in Slack happens in channels, so all the right people can be included, all relevant information kept in one place, and new team members are able to get up to speed easily. With Slack, teams are better connected. Smart, hardworking, humble, collaborative — these are the attributes we look for in people. About Zendesk : The best customer experiences are built with Zendesk. Zendesk’s powerful and flexible customer service and engagement platform scales to meet the needs of any business, from startups and small businesses to growth companies and enterprises. Zendesk serves businesses across a multitude of industries, with more than 100,000 paid customer accounts offering service and support in more than 30 languages. Headquartered in San Francisco, Zendesk operates worldwide with 15 offices in North America, Europe, Asia, Australia, and South America. About Userlike Live Chat : Live chat for website and messenger support. Be there when your customers need you the most. Userlike unlocks the channels to your customers’ hearts. Message your customers in real-time via your website, Facebook Messenger, or Telegram. Your customers could be anywhere. Whether they’re browsing from their desktop, chilling on the couch with their tablet, or sitting on the bus with their smartphone – Userlike guarantees an optimal live chat experience. About Intercom : The world’s first customer platform helping internet businesses accelerate growth. Thanks to the internet, the way people communicate is drastically different than it was 10, even 5 years ago. Messengers like WhatsApp have become the preferred mode of communication in every aspect of consumers’ lives, and now that switch is happening with businesses too. Intercom builds a suite of messaging-first products that all modern internet businesses can use to accelerate growth across the customer lifecycle, from acquisition, to engagement, and support. About Pure Chat : Small businesses can generate more leads and drive sales with Pure Chat! When companies add Pure Chat to their website they can message multiple leads and customers at once–instead of spending hours talking on the phone! They can also chat with new website visitors at their desktop or on the go with our mobile apps. Pure Chat is simple and intuitive unlike other enterprise-focused chat software companies. Get started today for free! “Purechat is a very interesting software, with a warm interface, and moldable according to the user’s requirements. Personalization of chats, availability schedules, can be used in blogs and web pages, are many of the options that make Purechat an excellent option for communication with other people.” – Adelaynes C.
About Chatra : Chatra welcomes potential buyers with the faces of your team and invites to get in touch through friendly, targeted auto-messages. Its much easier for them to send you a quick instant message than to send a formal, stuffy email from a contacts page. About Flock : Flock is a Team Messenger designed specifically for a faster way for your team to communicate. You can discuss projects, share ideas, and make decisions faster! Flock powers over 25,000 companies and Flock users around the world have reported increased productivity by 30%, 50% fewer emails, and 50% reduced in-person meetings. Our clientele includes teams at Accenture, Tim Hortons, Whirlpool, VMware and Victorinox. Flock is the first team messenger with full multi-lingual support in Russian, Portuguese, and Spanish. About Podium : We believe that every business should participate in building a thriving local ecosystem. So we’re building tools that make interacting easier and more convenient for everyone. We started with a single product that helps businesses collect and manage reviews on the sites that matter most. But that was just the beginning. We’ve since released Messenger to help make interactions between businesses and consumers more convenient and analysis tools like Sentiment Report to provide quicker, deeper insights into what consumers love most about your business. “Signed up for Podium last month and doubled the amount of Google Reviews in the 1st month. Easy for field and office staff to use. Great dashboard and data tracking. Messenger feature is great that allows to send text via the platform. Feel the value is definitely there.” – Tyler K.
About tawk.to : We’re changing the way businesses communicate with customers, making real time a real thing. Chat tool for connecting with customers through a mobile app or on your website. Supports chat history and performance analytics. “An easy way to enhance our website is through a chat tool, and one of the best is taw.to, it is very easy to install and use.” – Ana Carolina B. About elevio : Elevio makes your products easier to learn. Improving retention, while reducing your support loads. We bring your existing support stack together to deliver an all-in-one experience for your customers, taking your customer education to the next level and providing help on-demand to your customers, when and where they need it. About Acquire : Acquire.io is all-in-one multi-channel customer communication platform which focuses on onboarding, customer support, and sales. The platform is designed for all business sizes. It is featured with a full range of tool sets that includes live chat software, chatbots, co-browsing capabilities, screen sharing, and video and voice call functionality and customer profile management. It helps to provide real-time assistance to the customers thus makes customers happy and satisfied. Live Chat is one of the most preferred ways for customers to reach you. It gives you a more productive way of serving your customers. However, before choosing any live chat software blindly, it is imperative to spend some time analyzing its Pros and Cons in order to save yourself from future problems. But analyzing a live chat system is not that easy. Unless you know about its maximum reach, possible features, and best-buy pricing, closing a profitable deal with a vendor will be a difficult task. In this regard, this buyer’s guide will help you get answers to your questions for getting able to choose the best live chat software for website. » What is Live Chat Software? » How does the Live Chat Software work? » Is it worth investing money in Live Chat Software? » What are the features of Live Chat Software? » What are the benefits of Live Chat Software? » How to choose an ideal Live Chat Software? » How Much Does Live Chat Software Cost? » What are the Best Live Chat Software in 2019? Live Chat Software adds a chatting pop-up to your website that directly serves as a medium between you and your customer. It is one of the most efficient ways to engage your customers online. It comes with a number of features to serve your customers with any kind of information they want irrespective of its format i.e. files, audio, or video. There can be traditional conversations or can be more intimate conversations with audio and video chat. It comes with features to let your agents know who is who so that your customer can get personalized treatment. Live Chat software helps in converting the leads into customers. It simply appears on the browser window and gives customers to directly connect with company agents by tapping into the live chat box. On the other hand, it ensures to quickly assign the customer to an agent in order to maintain a faster response rate. Needless to say, responding faster means more leads. You can also add some pre-written custom messages to help your customers when your agents are not there. The software displays important customer information such as their names, geographical locations, service record with the company etc. in order to make agents answer their queries confidently. It is not a hard fact to understand that key to the success of any business lies in quality customer service. Your happy customers can bring more organic customers to your website by spreading good words of mouth. You can spread your customer base by anything. In this regard, one of the easiest ways to keep your customers engaged and informed is by installing live chat software in your system. It serves as a great asset to your marketing and selling strategy. Looking at all the above said benefits, investing money in a Live Chat Software could be stated as a good decision to make. Developed to provide customers with instant solutions in real-time the live chat software are equipped with a myriad of features. These features are hardwired to work together under a single software to help individual reap benefits. Hence, let’s have a short briefing on the different aspects of the software to gain a deep insight into the working of the live chat software. Many best live chat software companies are using proactive chat support in their software which allows companies to proactively chat with the users. This serves as a more feasible option as the customer would not have to search across options for contacting the customer support desk. Real-time tracking helps companies to count the number of users who visited the website, the total time they spent on the chat asking about a specific product, along with their behaviour and orientation, and more. Using the data companies can change their marketing strategies to attract more customers and make engaging products. The chat tools in the live chat software help to route customers according to their specialty and availability to avoid elongated waiting durations and ensure efficiency in the management operations. Moreover, users often rate the chat experience they had which further helps in enhancing customer support and gain a deep insight into the lacking areas. Previously developed responses help in cutting down the time required for thinking and replying to common questions. Almost all best live chat software come with preinstalled response systems which do not require user interference. Nowadays most people use a smartphone for browsing anything and everything. Hence, the live chat tool should also work on mobiles without any response issue. In case if the agents are completely packed and the chat pressure is too high, then offline forms can be used to contact the customer desk. Hence, the best live chat software also comes with the option for offline forms which allows customers to fill in basic details, which can then be used to contact the customer directly. A new addition to various live chat systems, the ticket slot assigns a unique ticket number to each customer where the time for interaction initiation is mentioned by the side. This helps the customers to get an estimated idea in case of high chat volumes. The various aspects of the live chat tool have an extended number of uses which enhances the company’s productivity by streamlining the processing time. So, let’s have a look at the various uses of the live chat software. Various reports state that the customer support provided by the live chat software out pars the call centre results due to less waiting time. A number of best live chat software for the website also allows users to access other services while waiting for solutions. An instant and effective customer support desk help in improving the company’s value as customers can easily get the products they are looking for. Many studies have concluded that users prefer companies offering numerous products with good characterization or based on their problem-solving skills. Handling customer support over phone call can be both complex as well as time-consuming. This is because while handling a call, an agent has to listen to the grievances carefully which may otherwise put a negative impression on the company’s value. However, in live chat systems, an agent can handle more than two live chats at a single time depending upon the need of the hour. Thus, installing a live chat system is more budget-friendly than hiring a call centre specialist to resolve customer issues. The live chat software can be used to analyze the customer behaviour and orientation which can be later used for addressing customer pain points, creating lucrative offers and discounts to attract traffic. Hence, the input and chat histories can serve as an important factor to stay updated with the latest market trends as well as devise tailored products. There are some points which one should always remember before choosing a particular live chat tool over others to come with the best results. In this list, we have hand-crafted some of the most common points to help you in ensuring the best chat experience for your customers as well as the company. While choosing for the best live chat software, the most important thing one needs to do is to note down the company needs. This helps in streamlining the choice making the process by narrowing down the list based on your software choices. Apart from the facilities and tools provided in a live chat system, the total number of users who will be using the software is also a major factor which should not be overlooked. If you have a rough idea on the number of users of the software, you can avoid any future headaches. Although implementing a live chat software can be pretty overwhelming due to its benefits, it is not always necessary. The benefits of live chat tools are best suited for medium and large-sized organizations which require constant customer interaction in their day to day activities. Therefore, run the pros and cons. If the latter precedes the former then it’s better to give it a go. The task of choosing the Best Live Chat Software for a website among the heaps of others can be a very intimidating affair for anyone and everyone. Loaded with different facilities and tools, separating them often takes a lot of time and hard work. Hence, here we will discuss some of the tips and tricks which can be used to choose good live chat software. So, let’s have a look at them. It becomes very necessary for the companies to remain updated on a daily basis to be able to provide customized solutions fitting customers’ needs. Moreover, a cloud-based platform provides mobile accessibility which can be used to access the software’s performance from anywhere at any time. A live chat system which allows anyone and everyone to use it has more subscribers than a complicated one. This is because a user-friendly interface does not need any prior technical knowledge. Moreover, it also allows the hiring company to make changes as desired such as changing the language, styles, colours, fonts, and even let's personalize the company’s brand logo. If the live chat software you are hiring supports your other third-party business tools, then it is definitely an add-on. This saves you from the tedious work of again searching compatible tools and software to the live chat tool. Every single information of a company is very precious which makes them an easy target to data breaches leading to exposure of crucial information. Hence while looking for a good live chat software one must look for the one providing promising security patches such as activated firewall, two-factor authentication, etc. Moreover, the software should also allow easy backup and recovery options in case the data is deleted. Pricing of a live chat system is also equally important as the software itself. Depending on the facilities and tools provided, the pricing plan varies from software to software. Go for something that best complements your budget and promises the best return on your investment. The reviews left by previous customers who have already used the software also help analyze the actual services offered and their quality, before actually completing a trial with them. You can find a number of reviews listing websites. In case you doubt them to be inorganic, ask for peer advice. As discussed above, the pricing of a live chat system mainly depends upon the number of facilities and tools availed, the total number of users using the software, the duration for which it has been hired, and more. While the lowest hiring price of the software can be as low as $7/month, the highest price can go up to a high of $399/month. Many software companies are also coming up with a pay-as-you-go facility which allows users to implement newer facilities and tools as required after paying a basic fee for the software. However, it is highly advised to always start with the free version of the software before clicking on the premium plan. This is because using the free version can let one gain a deep insight into the quality of the services provided. Now that you have fully understood about Live Chat Software, it will be easy for you to choose the best one for your website. However, it is imperative to note that doesn’t go for any software after receiving a couple of warm offers from vendors against your RFP. Critically analyze each software and ask the vendor for clarifications wherever you feel messy. Start with a trial version and see what it has to offer. If the software truly stands on what it promises, go for it else give it a go.